Unique handmade small hand bag, ideal for carrying your purse and mobile. 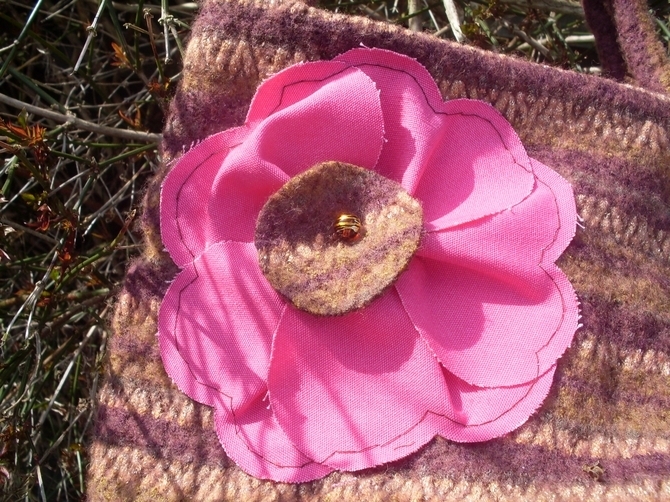 Made from 100% recycled pure wool in dark purple and gold. 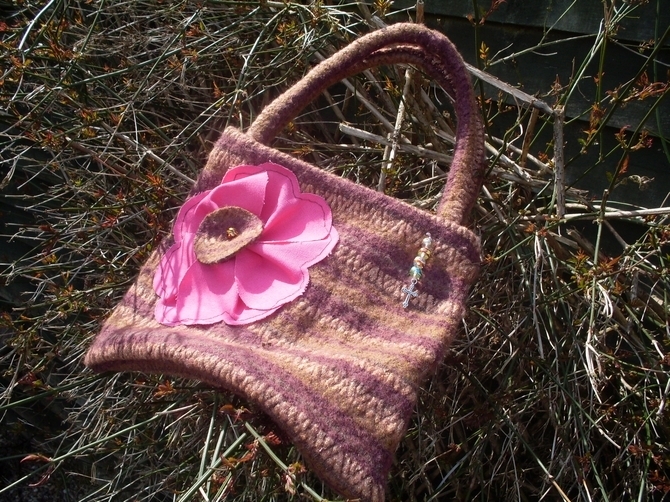 This understated bag is brightened up with the fuisha pink flower, centred with a glass bead. 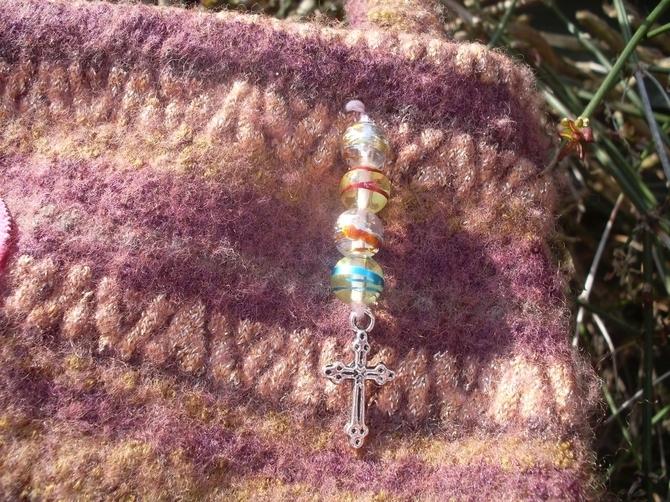 Sewn into the bag is another spangly dangler made with glass beads and a silver Tibetan cross. 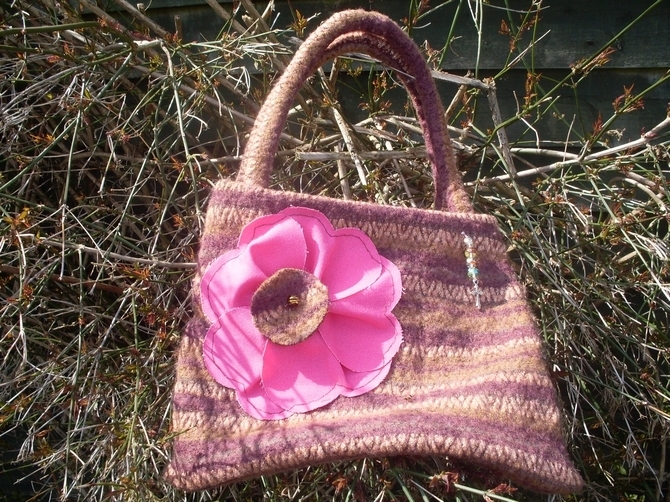 size approx 8" by 10".Dare to be different, get yourself a bag no-one else has got!